Scientists have discovered a new way to study the spectacular space phenomena such as solar flares, cosmic radiation, and the northern lights in a laboratory environment. "Scientists have been trying to bring these space phenomena down to earth for a decade," said Longqing Yi, a researcher at the Chalmers University of Technology in Sweden. "With our new method, we can enter a new era, and investigate what was previously impossible to study. It will tell us more about how these events occur," said Yi. The research, published in the journal Nature Communications, concerns so-called 'magnetic reconnection' - the process which gives rise to these phenomena. Magnetic reconnection causes sudden conversion of energy stored in the magnetic field into heat and kinetic energy. This happens when two plasmas with anti-parallel magnetic fields are pushed together, and the magnetic field lines converge and reconnect. This interaction leads to violently accelerated plasma particles that can sometimes be seen with the naked eye - for example, during the northern lights. Magnetic reconnection in space can also influence us on the Earth, researchers said. 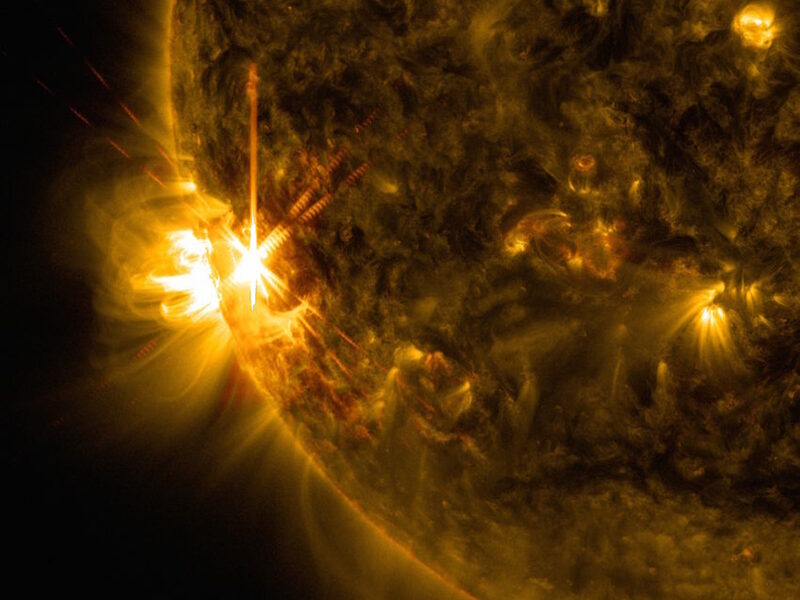 The creation of solar flares can interfere with communications satellites, and thus affect power grids, air traffic, and telephony, they said. In order to imitate and study these spectacular space plasma phenomena in the laboratory, a high-power laser is needed to create magnetic fields around a million times stronger than those found on the surface of the Sun. The researchers proposed an experiment in which magnetic reconnection can be studied in a new, more precise way. Through the use of grazing incidence of ultra-short laser pulses, the effect can be achieved without overheating the plasma. The process can thus be studied very cleanly, without the laser directly affecting the internal energy of the plasma. The proposed experiment would, therefore, allow researchers to seek answers to some of the most fundamental questions in astrophysics.